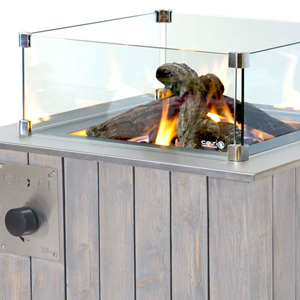 The Cosicube 70 gas fire pit outdoor heater provides a stylish, contemporary form of gas powered outdoor heating, whilst the robust and compact design make it ideal for any size patio or decking area. 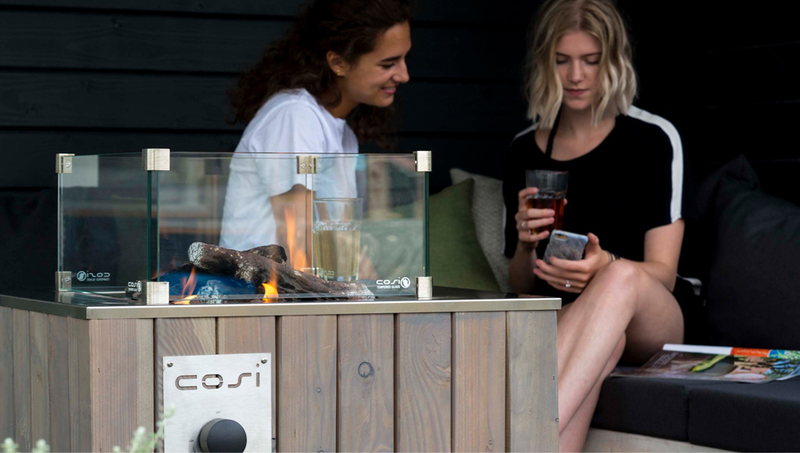 The Cosicube features a wooden exterior with a grey wash finish and has an easy to use, electronic ignition. This great looking outdoor heater uses propane gas where a 5kg patio gas bottle can be hidden within the confines of the fire pit with access through the secretive side door. 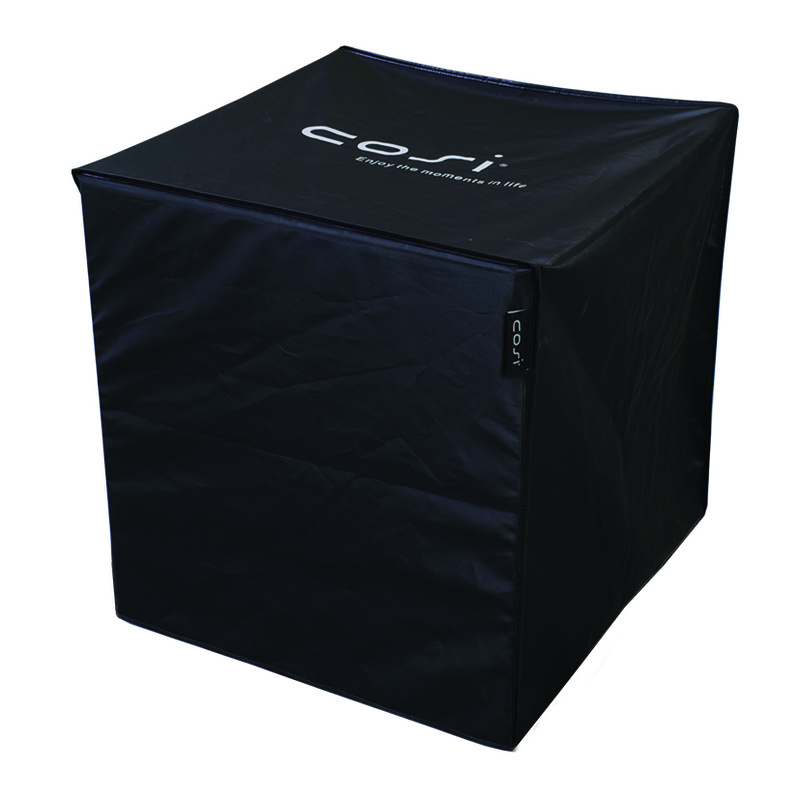 A Cosi All Weather Protective Cover is supplied FREE with this Cosicube. Constructed from Douglas Wood & Stainless Steel. Which Gas Can I Use For My Cosi Fire Pit? We recommend any of the above gases to fuel your fire pit. Please note that regulators are not included. A high quality all weather cover and the stylish Cosiglass guard are must have items for this fabulous fire pit. Protect your heater from the wind and elements and prevent children and pets coming into contact with the flame. This item will be delivered by a pallet haulier. Click the button below to add the Cosicube 70 Gas Fire Pit Grey Wash to your wish list.